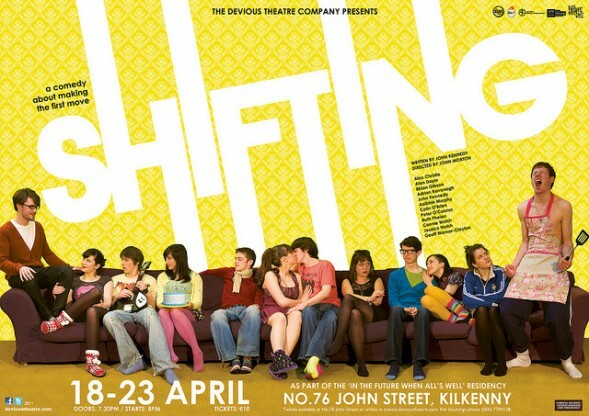 The second part of our In The Future When All’s Well season in Kilkenny Arts Office, Shifting by John Kennedy is a comedy set at a house party taking place in the Sycamores area of Kilkenny City where a group of young friends attempt to kick off their last summer together before going their seperate ways to college, work and uncertain futures. However secrets, lies, gatecrashers, feuding bandmates, sloppy seconds and soiled carpets threaten to ruin the night before the celebrations can even get started. This play put the focus of the future on teenagers about to step into the black hole of uncertainty that is adulthood in modern Ireland. Trying to stick together, but certain of moving apart, the future is a tough place to grow into. ‘I Know Very Well How I Got My Name’ written by Morrissey. Performed by Jessica Walsh. Arrangement by Geoff Warner Clayton. Engineered by Ken McGuire.